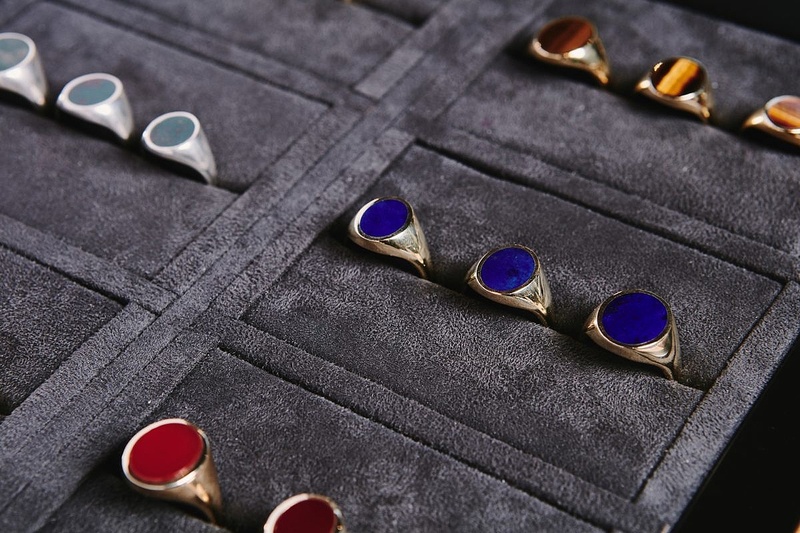 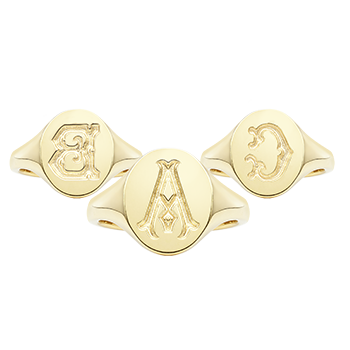 When choosing your signet ring, it’s important to take your time in your selection as it is something you will wear for life and pass down to the next generation. 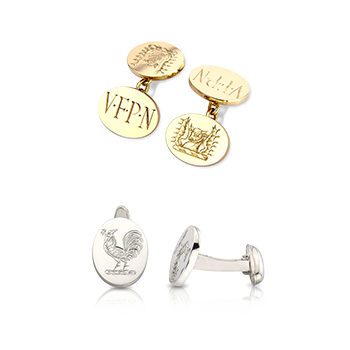 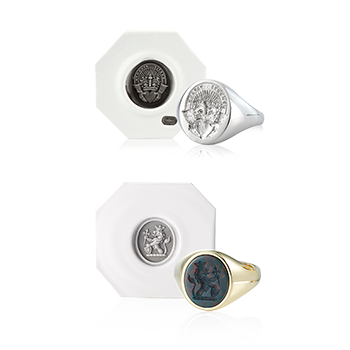 The ‘rules’ of which finger to wear to signet ring on is a much-discussed topic with our customers; opinions differ because the signet ring is an item of jewellery which is so steeped in tradition, yet it’s identity and purpose is ever evolving as fashions change, evident not only over recent years but across the centuries. 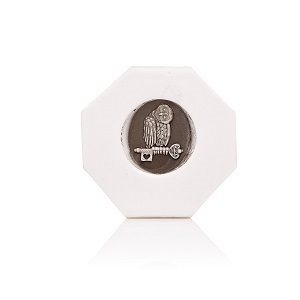 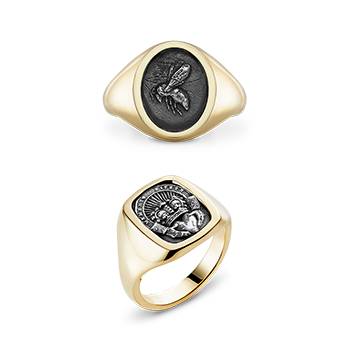 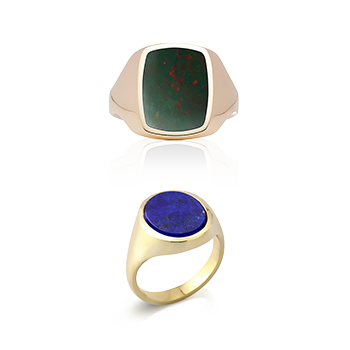 Signet rings have a flat bezel (the surface which bares your engraving) and the design is usually engraved in intaglio (meaning it will leave a raised impression of the design if the ring is pressed into sealing wax). 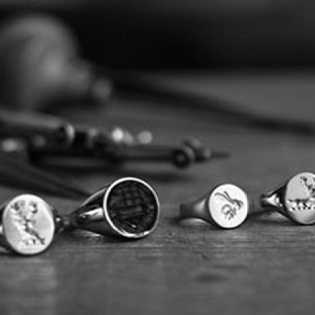 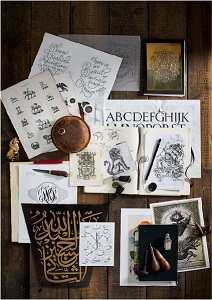 As designs vary in size and shape, from ancient heraldic family crests to unique bespoke designs, the most important thing to consider is choosing a face shape that will best display the engraving. 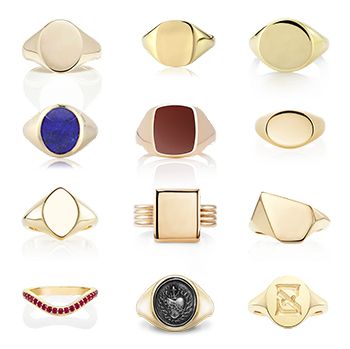 Find out more about size and shape here or visit the ‘shop’ page on our website. 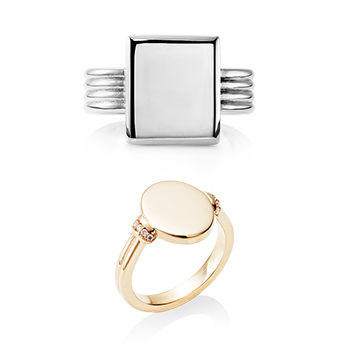 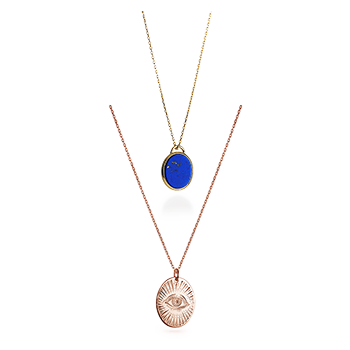 The Oxford Oval signets can be created in a lighter ‘heavy weight’ or an ‘extra heavy weight’. 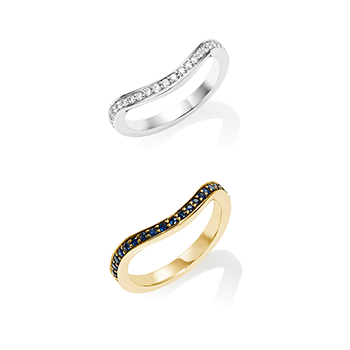 Your choice won’t affect the depth of the engraving, some people just prefer to feel a heavier weight in their jewellery. 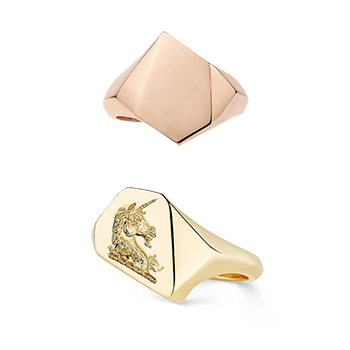 The Extra Heavy weight simply has more gold evenly distributed throughout the ring, which gives a deep signet head and thicker shank – an approximate thickness of 2-3mm depending on your finger size. 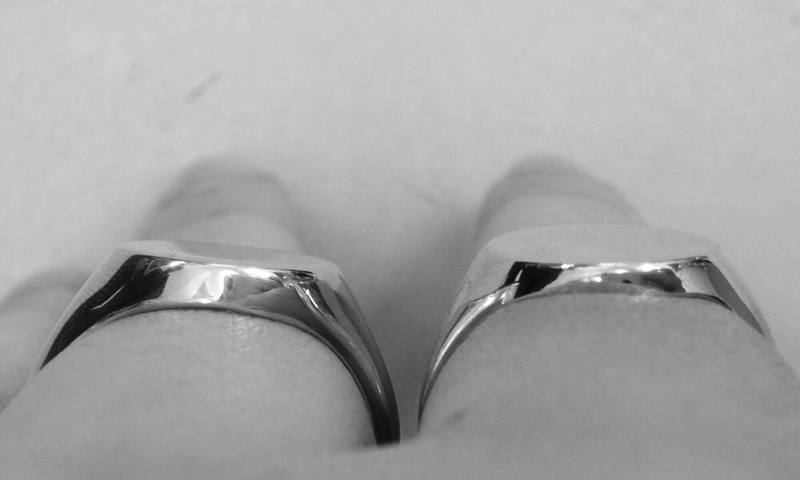 The Heavy weight option is slightly lighter, with an approximate head thickness of 1.5-2mm.